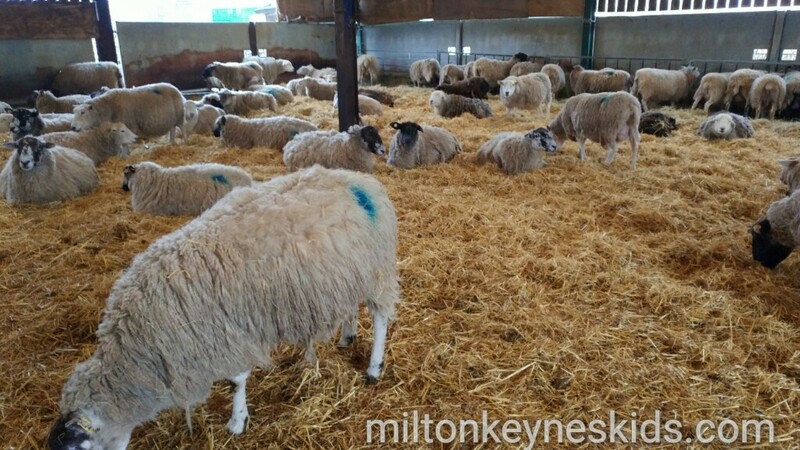 Thrift Farm is a small farm in Whaddon in Milton Keynes. 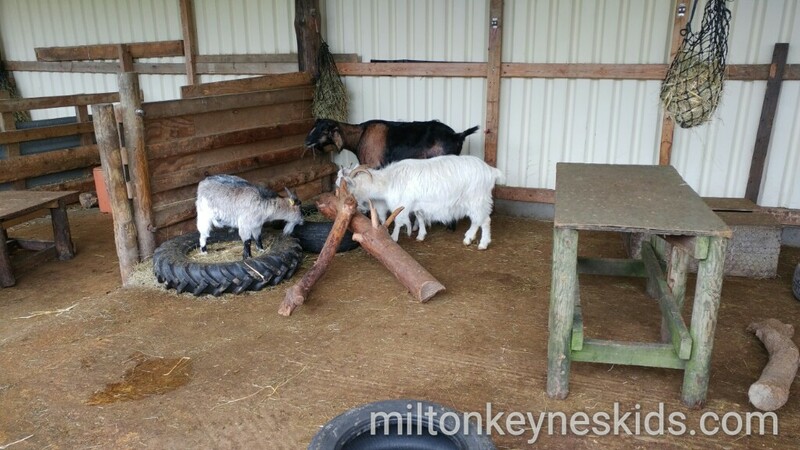 It’s a lovely little place to take young children to, especially for their first experience of a farm. It’s relatively cheap. Don’t go there if you’re expecting slides, sandpits and huge climbing frames. It’s all about the animals and playing whilst you’re there. 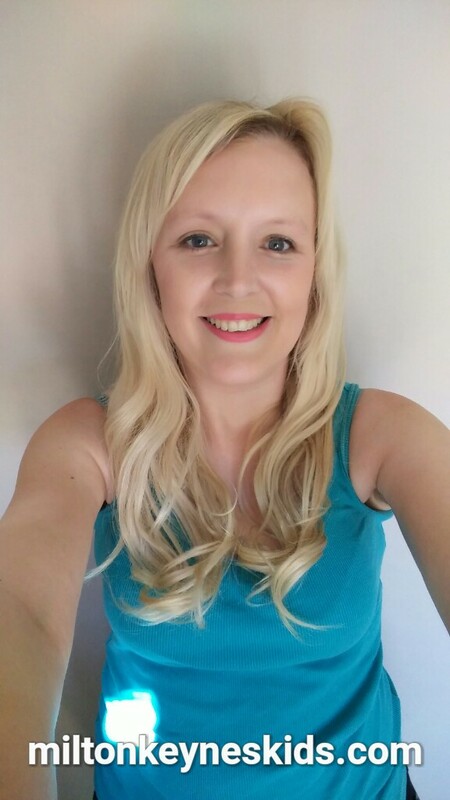 My boys are aged three and one as I write this. We visited in March 2017. Watch our video below and then scroll down for more information to find out where it is and what’s there. Where is Thrift Farm and how much does it cost? The address is Buckingham Road, Whaddon, Milton Keynes MK17 0EQ. It’s relatively easy to find just off the A421 heading out of MK towards Buckingham. It has a car park which is free to park in. They have two prices. Off peak which is Mon-Fri during term-time it costs £4 adult, £2 child and under 2s are free. Peak rate which is weekends, bank holidays and school holidays it’s £5 adult, £2.50 child and under 2s are still free. It’s open daily 9.30am – 4pm. 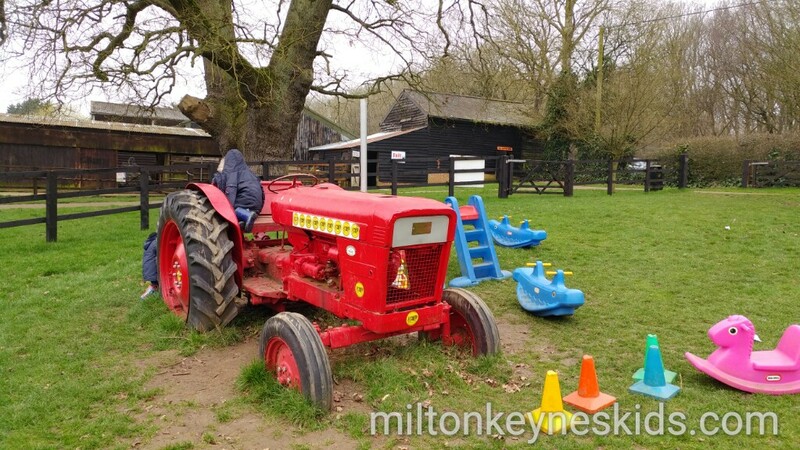 What’s at Thrift Farm for kids to do? It’s not a big farm but there are quite a few animals. When we went, we saw chicken, ducks, donkeys, pigs, sheep and goats outdoors. 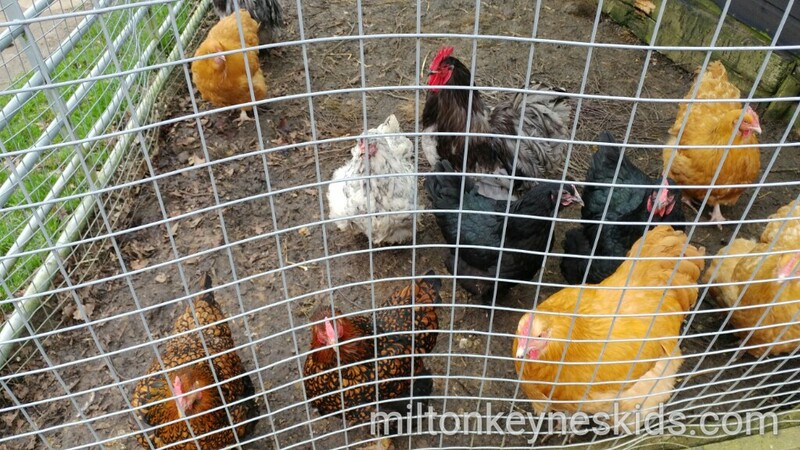 Although the avian flu restrictions were still in place when we visited so there were fewer birds than normal and we couldn’t feed the animals. Inside a couple of little sheds there were small animals like guinea pigs and rabbits. 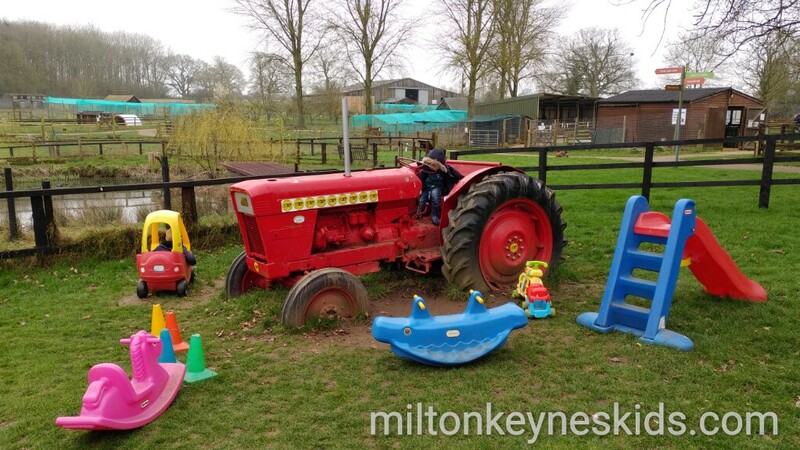 My boys liked sitting in the big red tractor – in fact this was one of their favourite things about the visit. My youngest – currently 20 months – liked the ride-on toys. 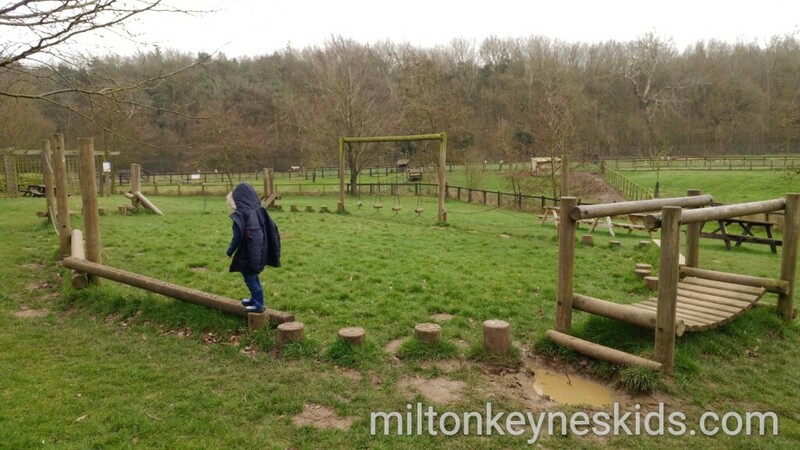 My eldest liked walking along the wooden balance beams. 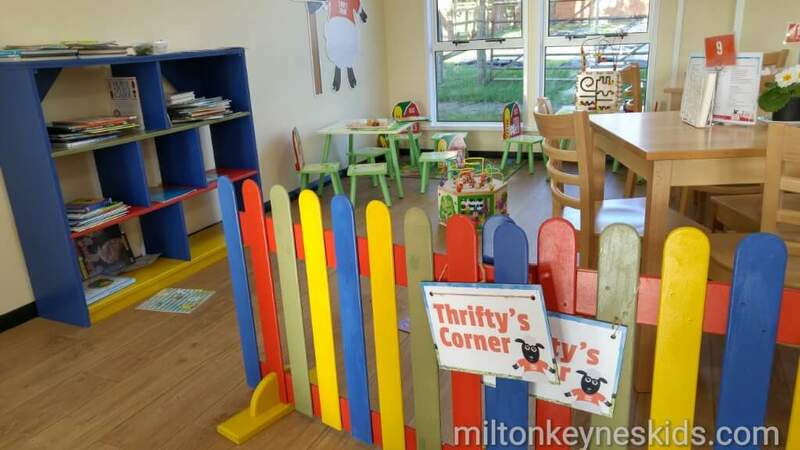 There is a play barn where there’s a small kitchen, baby toys and colouring, although we didn’t spend any time in there – that space could be used a little better in all honesty in the summer. What you can eat and drink at Thrift Farm? We took a picnic as usual but there’s a lovely café which does baguettes, paninis, potatoes and cakes – as well as a small children’s menu. They have a small wooden children’s play area as well. 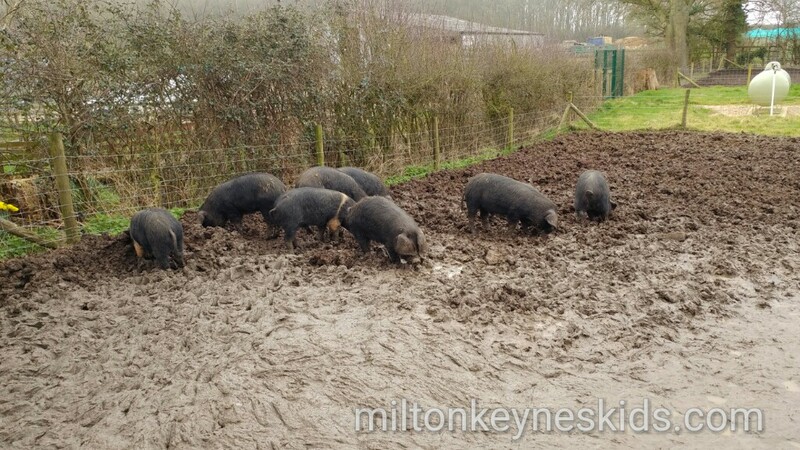 You can just go to the café without paying to go in the farm so it’s always an option for meeting for lunch with friends. What’s so special about Thrift Farm and who is it suitable for? 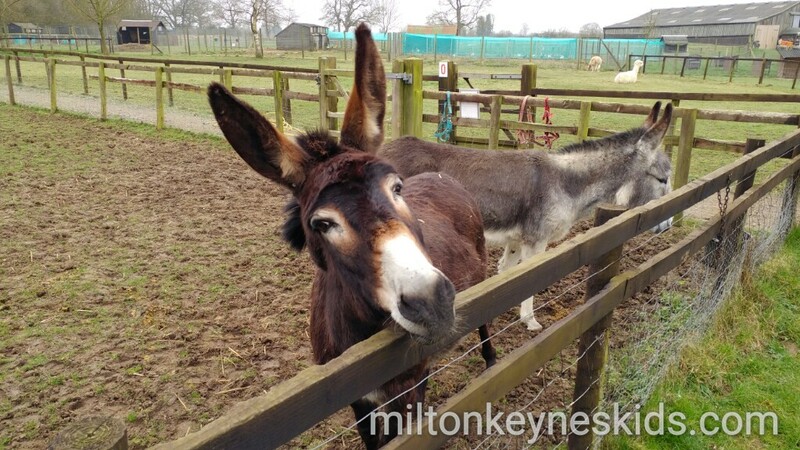 Thrift Farm is run by Buckinghamshire Care and aims to create future employment opportunities for people with learning difficulties and mental health problems. We think this is really positive and part of the reason why we continue to go back to the farm. I’d say we’ve been there at least five times since my eldest was born. 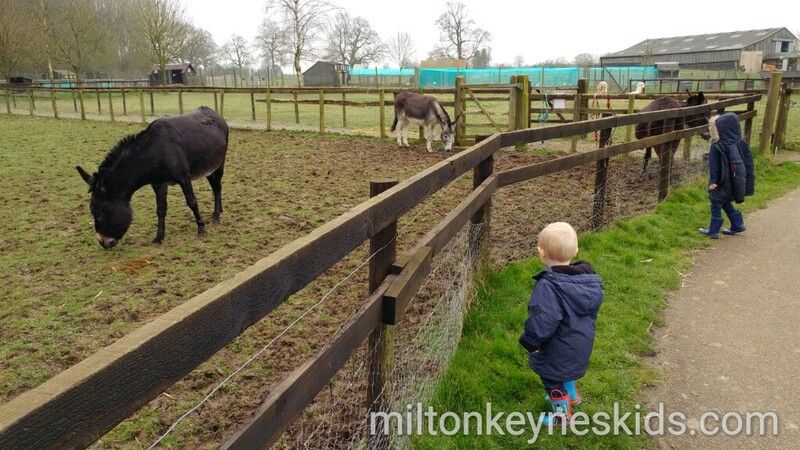 The farm is most suitable for young children – under 5s will probably get the most out of it, I think children slightly older than that would be fine – as long as they know what to expect.